VOC’s are Volatile Organic Compounds. In the world of floor coatings and industrial coatings, VOC’s are found in the form of solvents other than water. Solvents such as Zyleene, Naphtha, toluene, and isopropyl alcohol are the most common source of VOC’s in industrial coatings. VOC regulations measure the solvent levels in grams per liter (g/l). Without getting into the specific regulations, the acceptable level of solvents in coatings in these restricted areas is about 10% by volume in Southern California, 25% by volume in the rest of California. The EPA restrictions are at about 45% by volume for the remainder of the country. The amount of allowed VOC varies with how the product is classified (i.e. 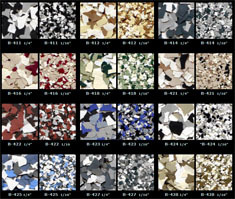 floor coating, mastic, primer, metallic, waterproofing, etc.) It is also important to note that there are some solvents that are exempt from VOC laws. 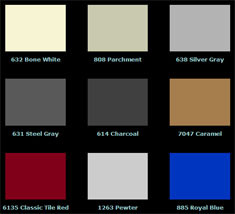 The government has become increasingly more restrictive as to the amount of VOC’s that industrial coatings may contain. Most are national laws and a few states like California and New England have even more restrictive laws. Not since the outlaw of lead in paint has the industrial coating industry had to vastly change to meet these increasingly stricter laws. While these laws are meant to protect the environment and health of workers there are some major drawbacks with the limiting of solvents. The first is cost. By combining equal parts of a 100% solids epoxy resin that may cost $50.00 per gallon with solvent like Zyleene at a cost of $10.00 gallon and doubling the coverage rate the effective cost per gallon is reduced by 40%. The next is ease of application and depth of penetration. 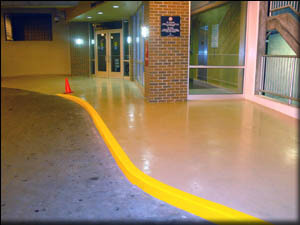 Solvents allow for a thinner viscosity allowing for a paint like consistency and promoting deeper absorption into porous substrates like concrete. One other is surface tolerance. A petroleum solvent like Zyleene will allow for better adhesion to oily substrates and the use of isopropyl alcohol allows for a more moisture tolerant product all of which are valuable qualities especially in a primer. One should also keep in mind that 100% solids epoxies sometimes known as odorless epoxies and solvent free epoxies (0% VOC) as they are legally described may actually contain 0-5 g/l solvent bound up into the chemical structure. There are also shipping/mailing restrictions on solvent based and non-solvent based coatings. Solvent based coatings may not be shipped by aircraft. Some carriers like United Parcel Service and the US Mail system prohibit the shipping of these products in part for this reason. In general most VOC containing industrial coatings must be shipped by over the road truck. In summary, when considering the use of a solvent based coating one must know the product and the laws of the state where they are to be used.